There is only one northern white male rhinoceros left on the planet. Its home is 200km north of Nairobi in Kenya, at Ol Pejeta Conservancy. Joining Sudan, the male, are two female northern white rhinos. 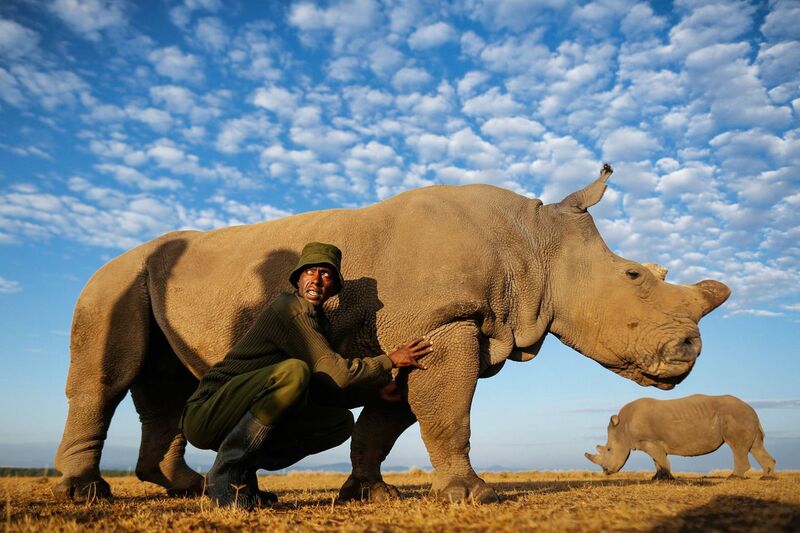 Together, they are three of the last five remaining northern white rhinos in the world. The subspecies are on the verge of extinction, suffering greatly since poaching surged in the 1960s. According to The Guardian, a rhino’s horn can sell at prices upward of $75,000 per kilo, leaving them under great threat. When we saw a seemingly annoyed boxer dog honking her owner’s car horn back in March, we thought she was just a rare case of a perturbed puppy. But now that we have stumbled upon the video above, and we see yet another pooch laying on the horn, we are certain that this is what dogs do when they have absolutely no patience. Last year, radioactive boars frustrated hunters in Germany. This year poisonous rhinoceroses are discouraging poachers in South Africa. Like the boars, the rhinos are not a product of nature, but a result of human actions. In this case though, the toxic treatment was intentional.